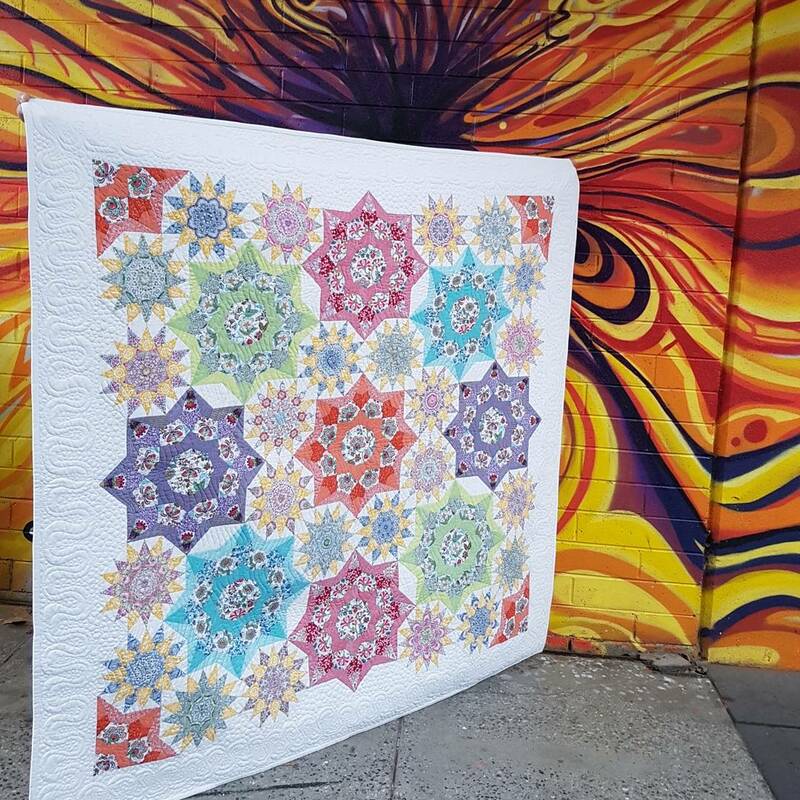 "Quilting on the Go ... English Paper Piecing"
The ORIGINAL Quilt is made from Liberty Fabrics. Please see the bottom of the page for where to buy the book, paper and template kits. Getting Started - the First Colour Burst - Blog Post HERE. Block 2 - Blog Post HERE. The Pattern for "Celestial Star" can be found in my book. Available for purchase from amazon HERE. 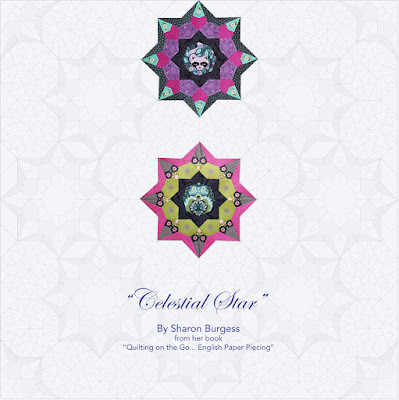 EPP Paper and Template Packs can be purchased separately. Ask at your Local Quilt Shop or check my stockist page. 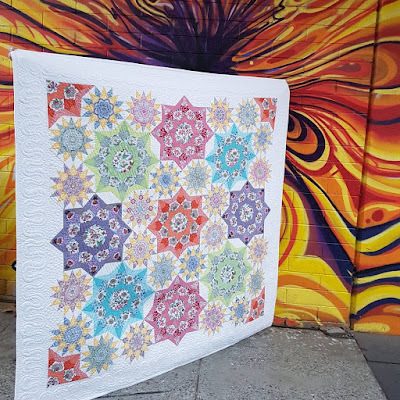 Wholesale orders can also be placed with Creative Abundance here in Australia and also with Checker Distribution and with Paper Pieces.com in the United States. I just found your site. Looks very interesting. You are very creative. I plan to purchase your newest book soon. 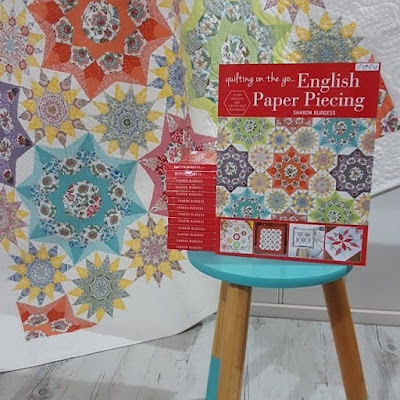 Am new to English paper piecing.